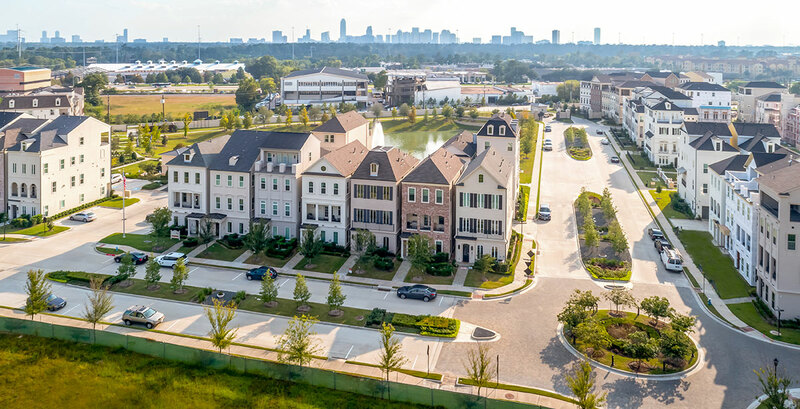 Located on a 47-acre tract of land inside Houston’s prestigious 610 Loop, Somerset Green will be a high-end planned community with detached townhome sites, water features and green spaces. The development will also contain pocket parks, dog parks, and an amenity area/gathering spot with a resort-style swimming pool. The European-style neighborhood will contain elegant three- and four-story single-family townhomes that will be gated and guarded 24/7. Hines will master plan the site, design and build all of the infrastructure, and sell the lots to builders for both spec and custom homes. Homebuilders include Coventry Homes, Pelican Builders, Toll Brothers, Darling Homes and Riverway Homes. Preston Wood & Associates is the land planner for Somerset Green.